Unique crystal chandeliers, a magical combination of crystal / fluorescent / black light. 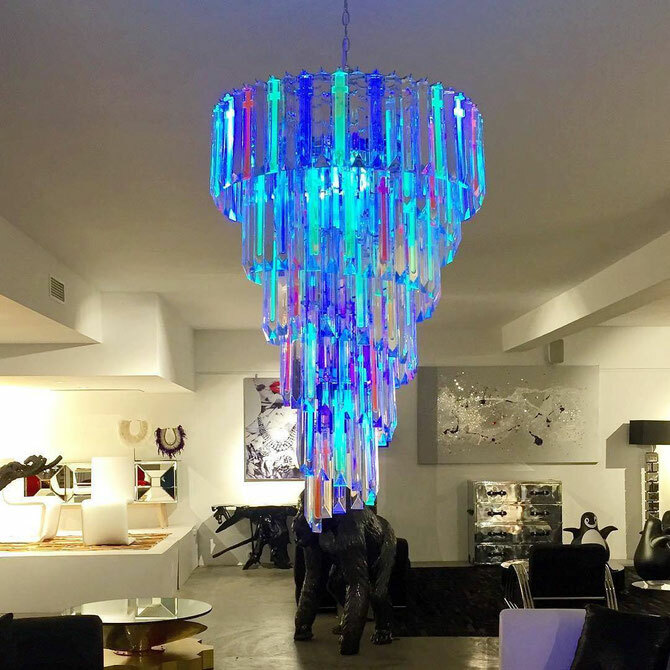 Fluogram Chandelier, Balloon-style in crystal and fluorescent resin; 2000 hand-painted pendants created in our workshop. 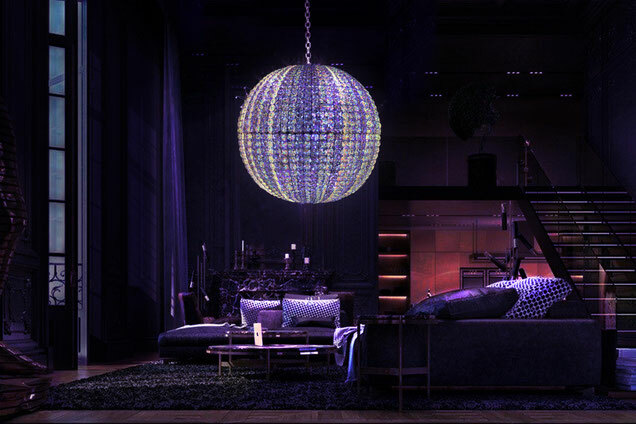 Among our works in black light, the CRYSTAL PLANET and the DARKLIGHT NOVA are the first chandeliers in the world to use black light, crystal and fluorescence. The perfect conjunction between the fluorescent materials on the crystal and the black light of these highly colourful round chandeliers make them two unique and extremely rare pieces. 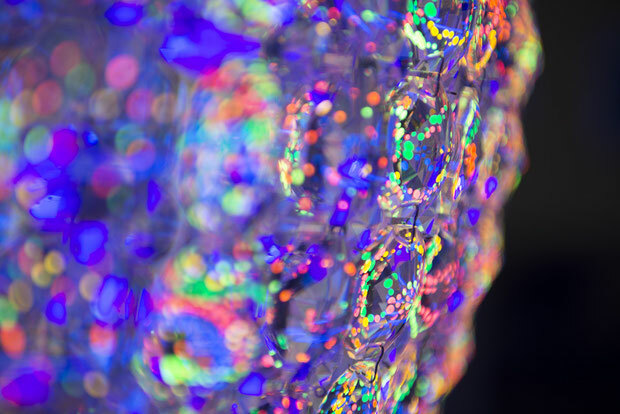 The crystal sparkles in a way you’ve never seen before: This is Fluogram crystal. Sphere, 1m in diameter, 24 black lights. This hypnotic chandelier will illuminate a room of 100m2 in black light. in bronze, shards of glass, fluorescent resin and pendants.